Fast food and retail store workers are leading the charge to increase low wages. But these five professions are also stuck with near minimum wages, despite a high level of training and skills or long hours at their jobs. 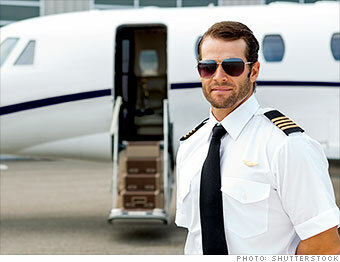 Becoming a regional pilot requires a tremendous amount of time, training and money. Federal rules stipulate that commercial-airline pilots have a minimum of 1,500 hours of flight experience, and the training can cost more than $100,000. But starting salaries for full-time pilots at regional airline carriers average about $22,400, according to data from the pilot union Air Line Pilots Association. For a 40-hour workweek, that would mean these skilled professionals are taking home about $10.75 per hour. What's my real living wage? How will a minimum wage hike hit businesses?